Do you still use RSS to keep up with latest news? Are you using Google Reader? 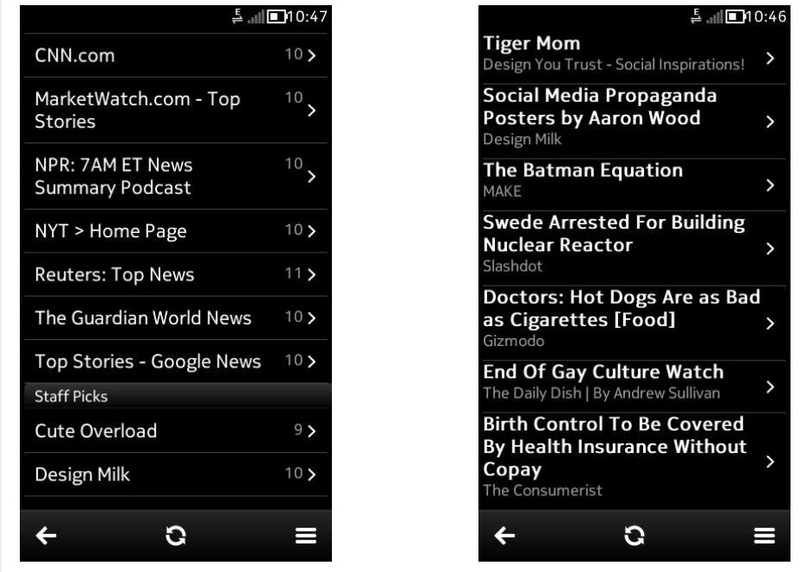 If you’re on Symbian, you might be using NewsFlow. Yash from ZomgitsCJ report on gNewsReader from the Nokia Developer Forum. It looks great, no? It has the Belle UI (which is more in line with MeeGo-Harmattan).